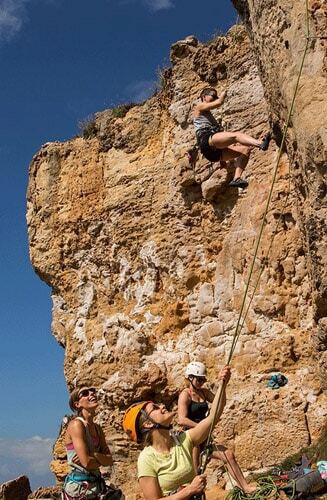 Climbing and Yoga sounds like the perfect match of activities for your holidays in Portugal? 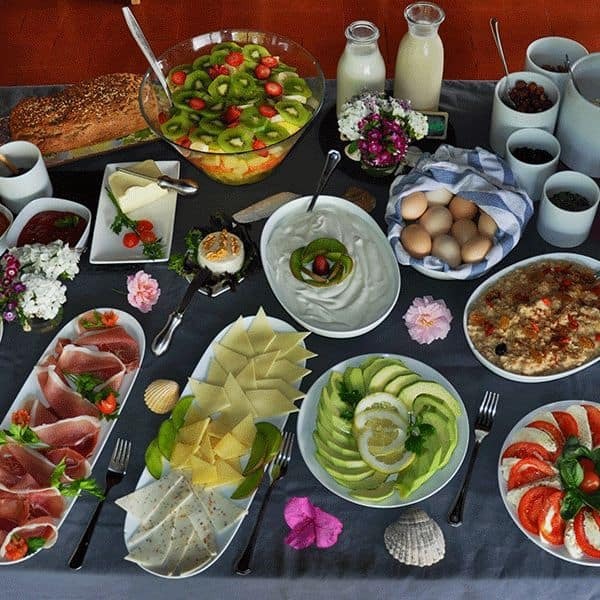 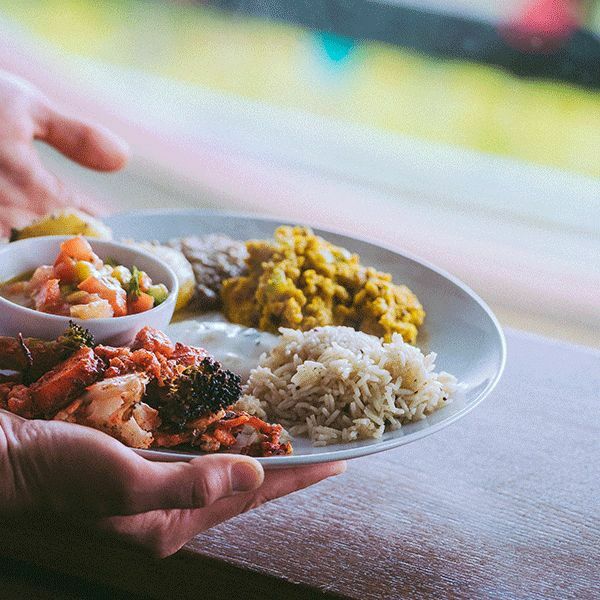 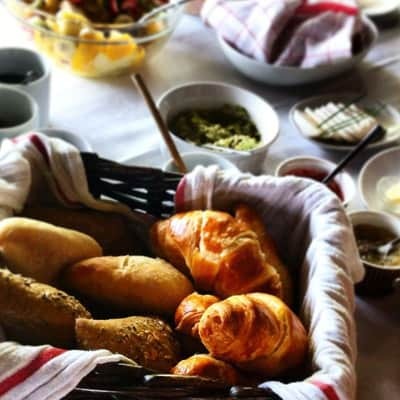 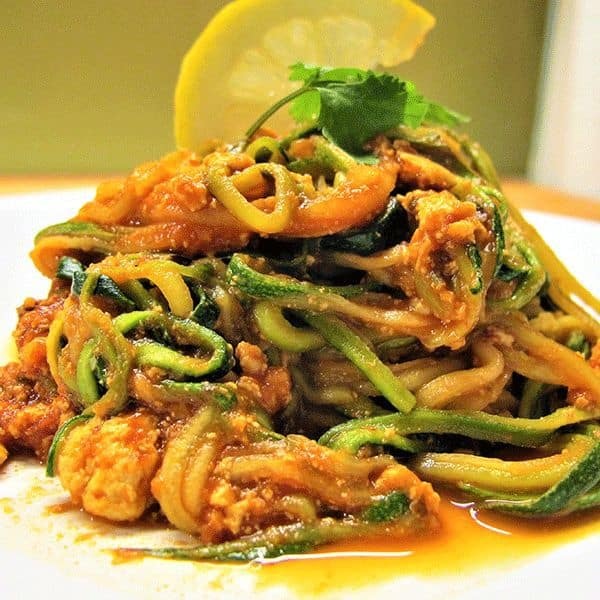 Along with healthy food, comfortable accommodation and a breeze of culture? 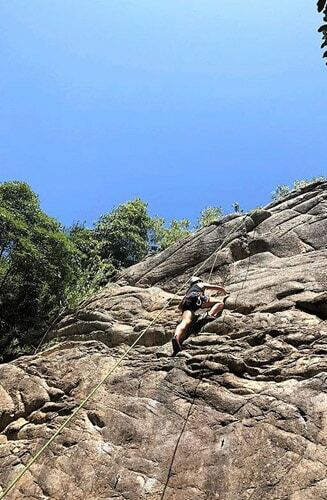 Then opt for our climbing and yoga holiday package right away and have yourself cliff-hanging in beautiful settings soon! 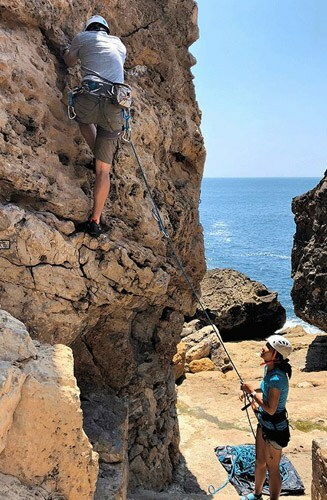 Climbing holidays in Portugal! 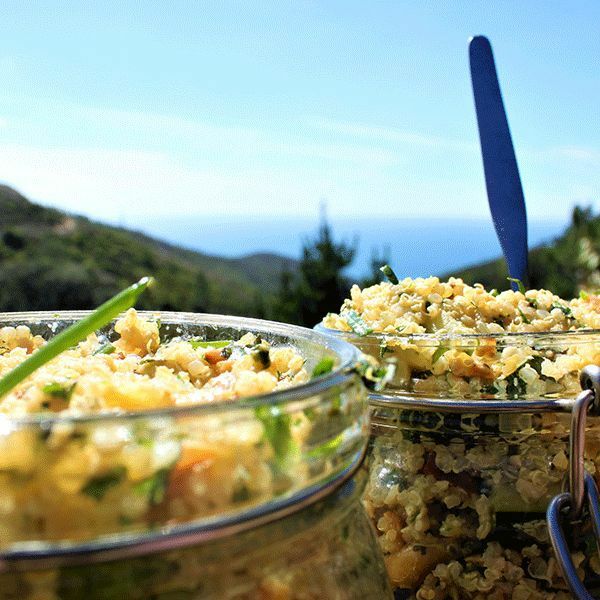 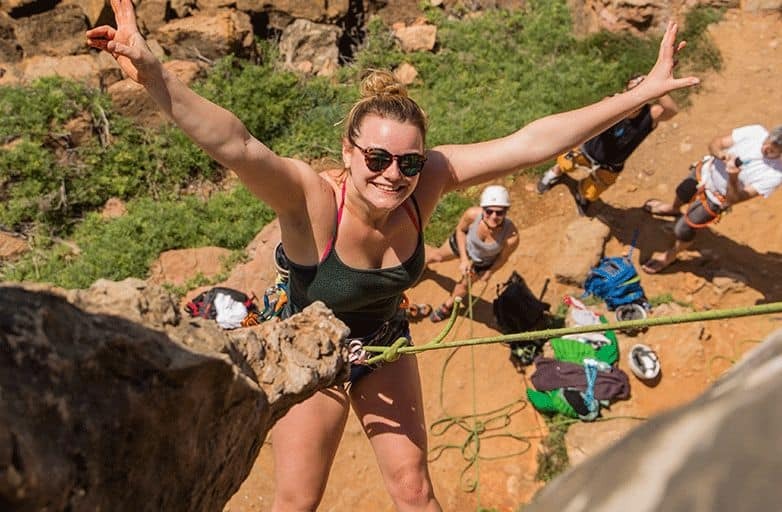 If you want to do climbing and yoga in combination with nice people, healthy and good food, comfortable accommodation, culture and relaxing in a beautiful environment – right here is the right place to spend your climbing holidays! 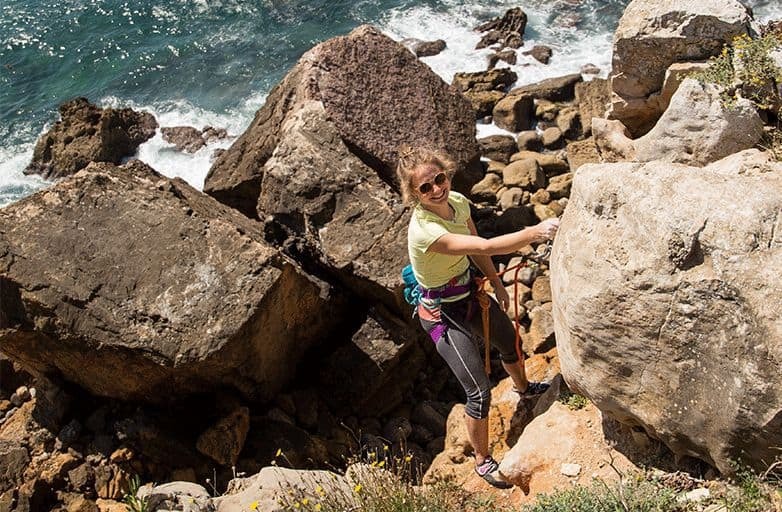 Climbing sessions will take place in Cascais coastline or Sintra mountainrange depending on the group level and weather conditions. 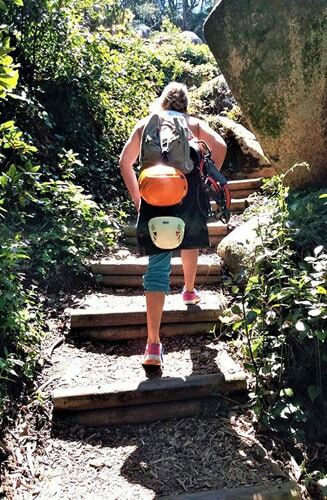 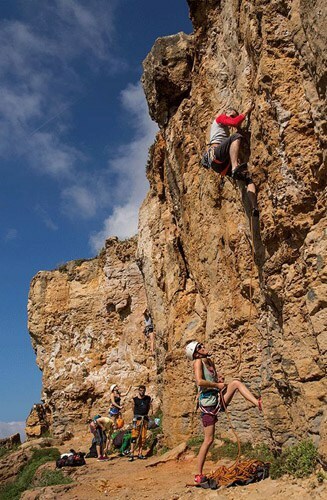 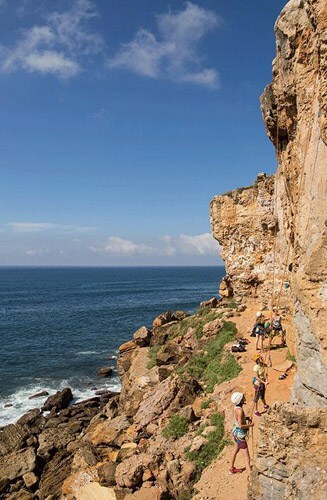 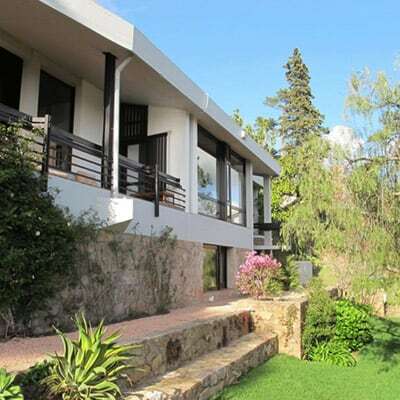 You will be climbing near waves beneath you or deep inside the Sintra forrest with breathtaking views over the ocean. 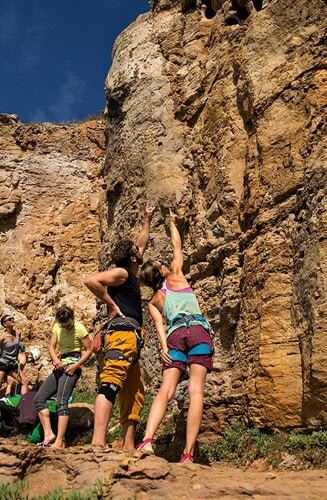 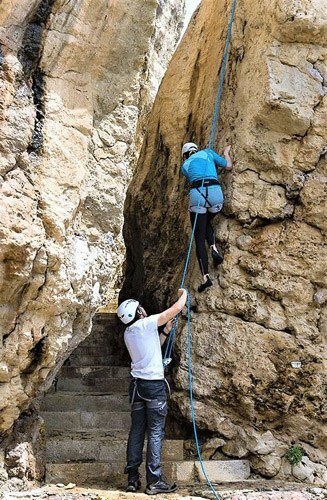 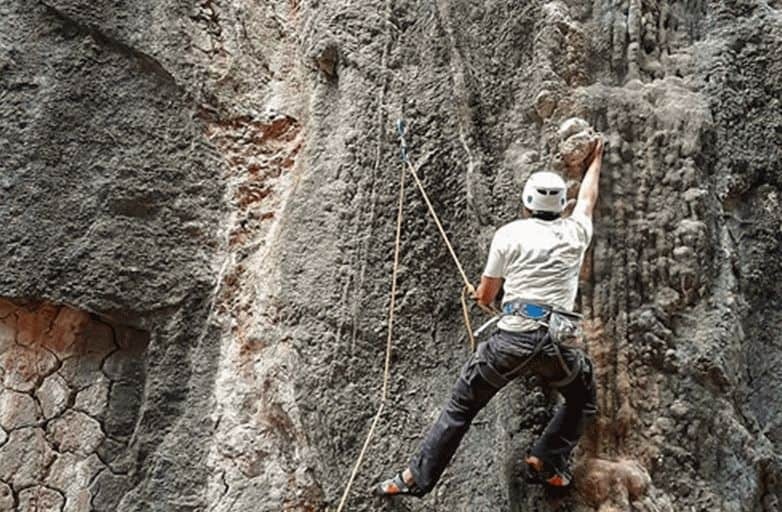 You will get to know this trendy sport and improve your climbing skills. 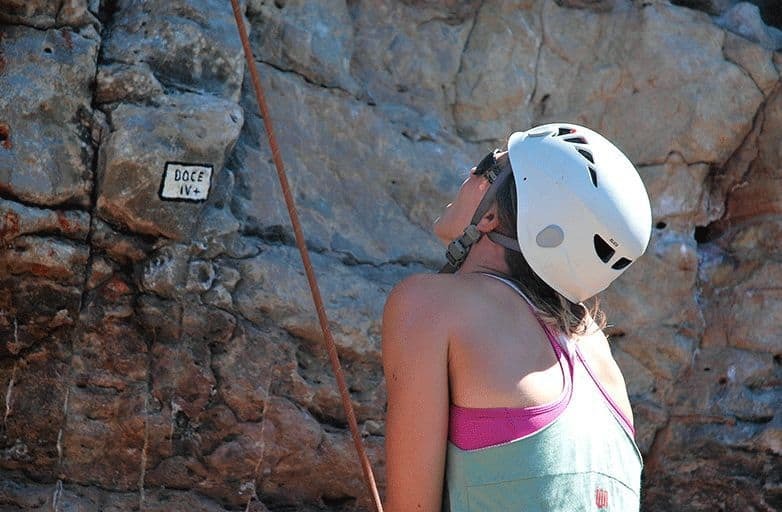 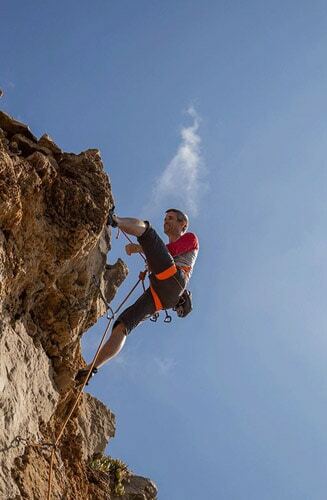 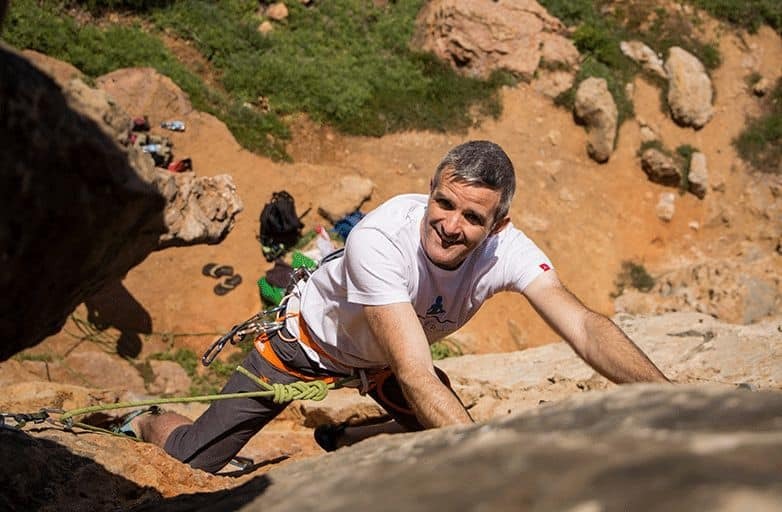 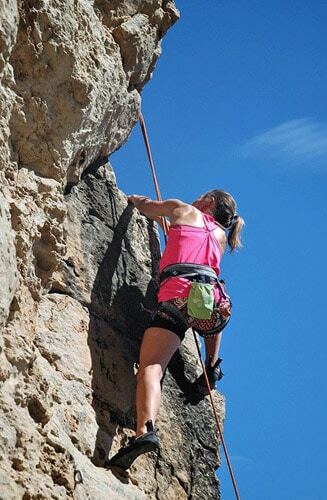 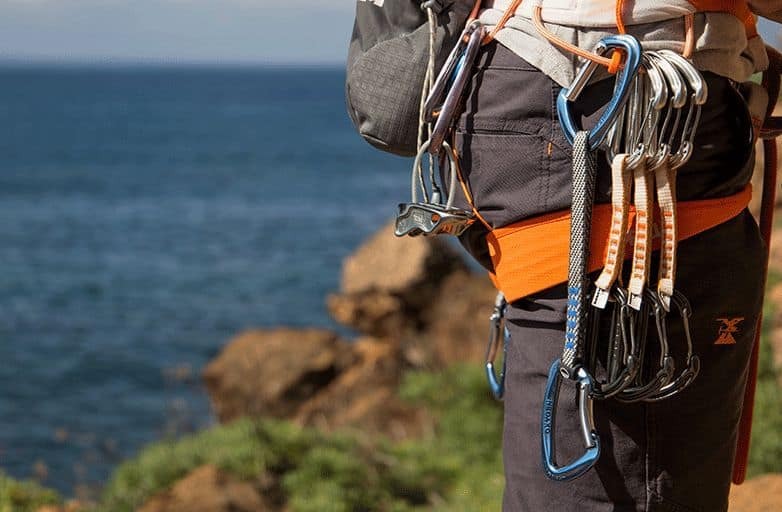 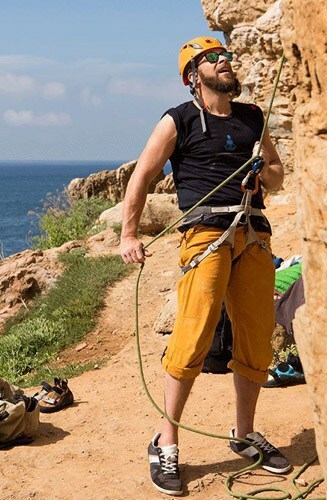 Our climbing coaches are fully qualified, highly skilled and very passionate about climbing. 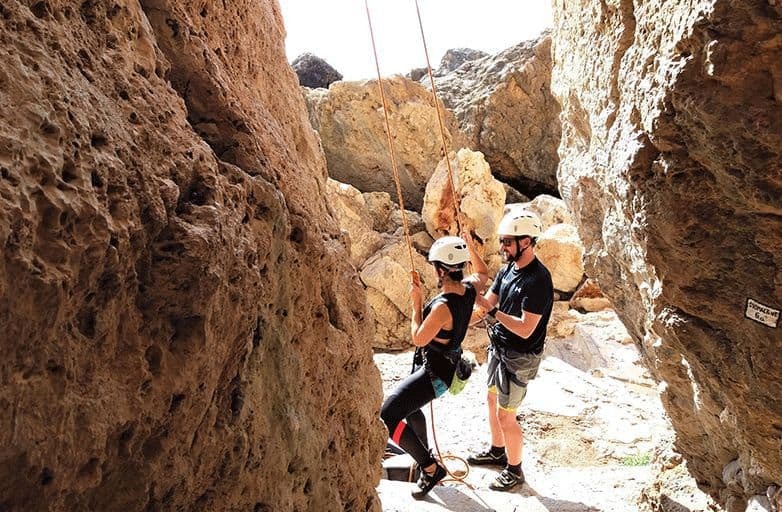 They are keen on sharing their knowledge and enthusiasm for climbing, therefore making your stay a special fun holiday experience for you. 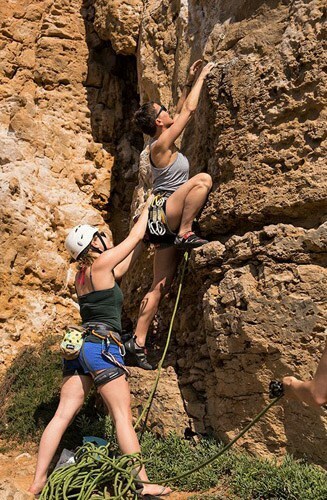 Daily Yoga will support your start of the day, get you in tune for the climbing session to come and in the afternoon regenerate your body from the unknown climbing-exercise. 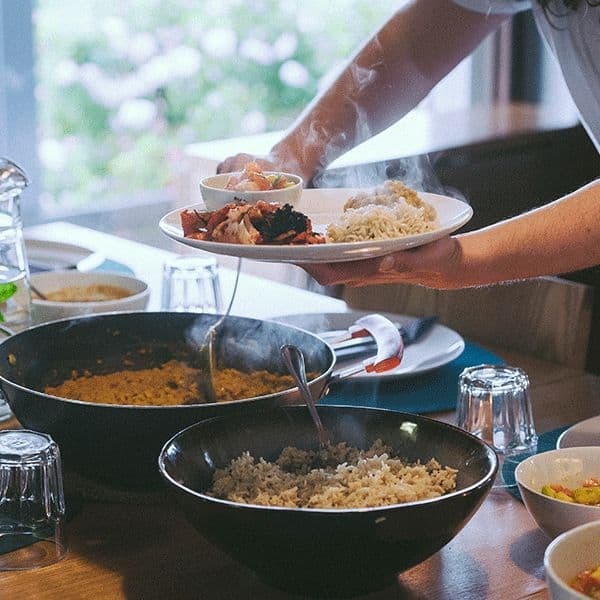 With the two different Yoga styles offered you will have a lasting Yoga experience and enjoy new inspiration for your daily Yoga training at home. 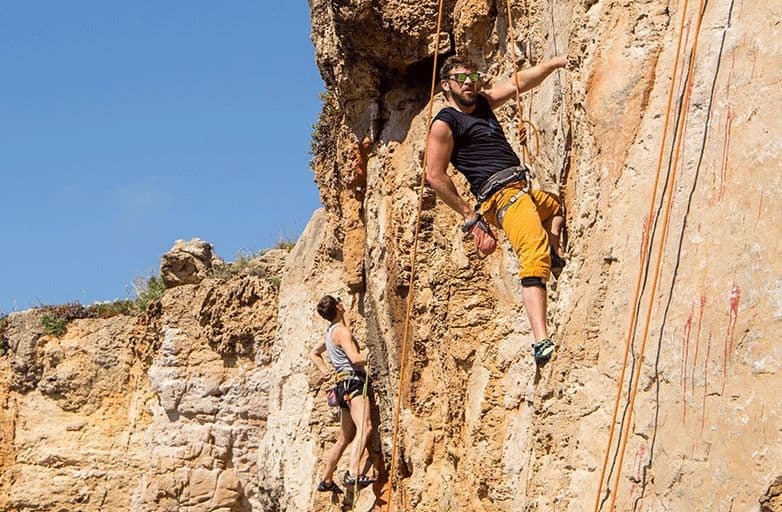 Those who need even more activities, will find numerous possibilities of distraction or challenge in the nearby area and natural reserve. 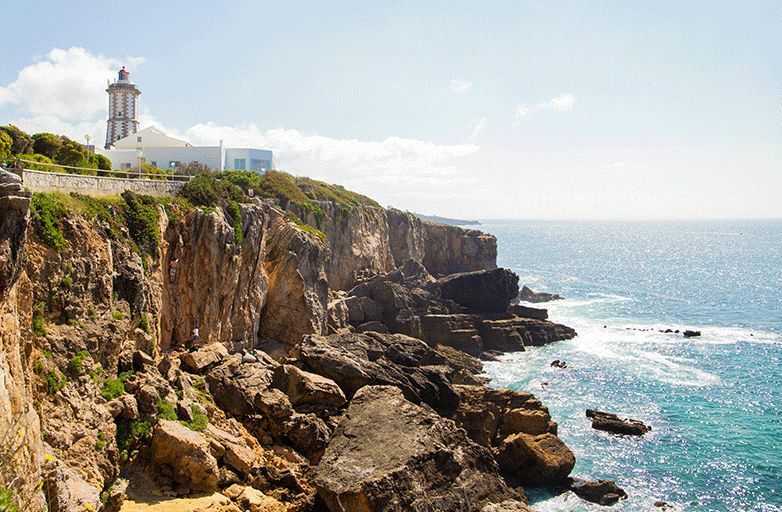 Surfing, golf, surfing, mountain biking, horseback riding, kitesurfing or sightseeing in Sintra or Lisbon, just to name a few things you can do. 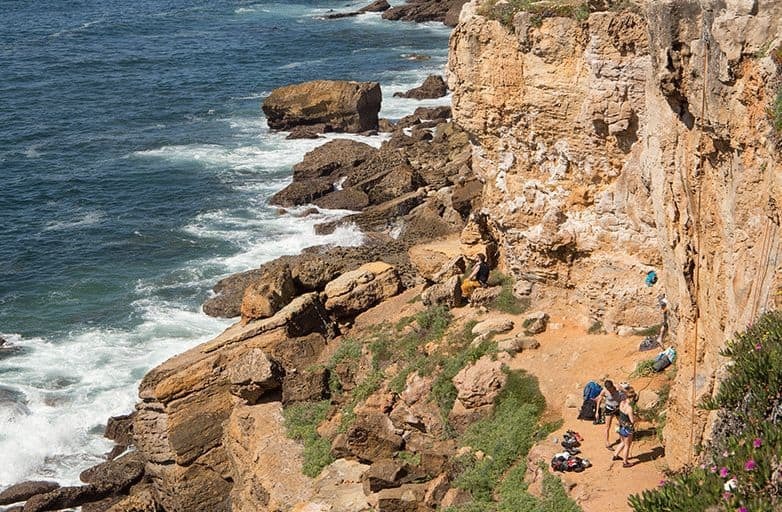 Praia do Guincho, one of the most adorable beaches in Portugal is just 5min. 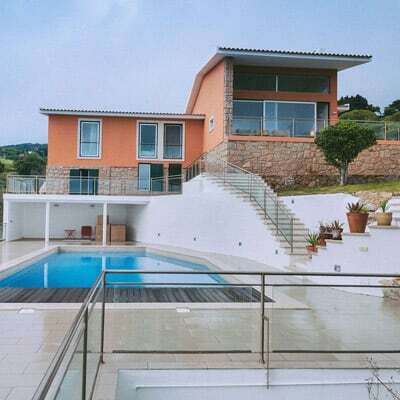 (by car) away – just perfect for surfing or sun-bathing. 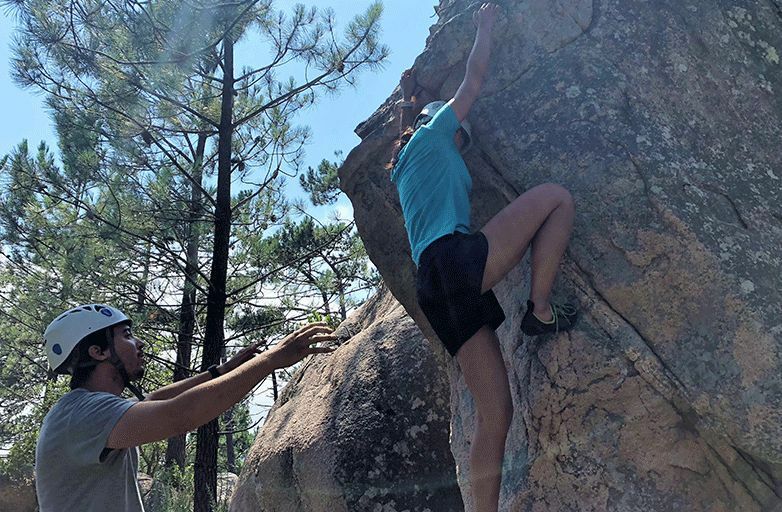 With the climbing and yoga package you will enjoy learn how to our improving your climbing skills and have yoga lessons on 5 days. 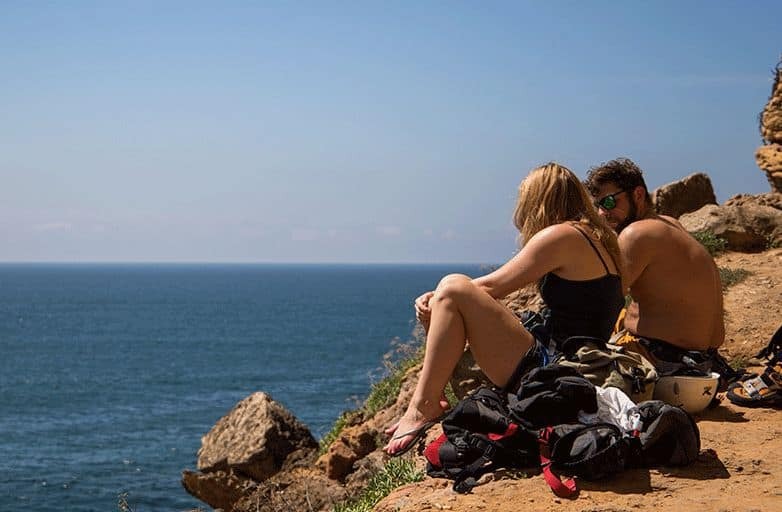 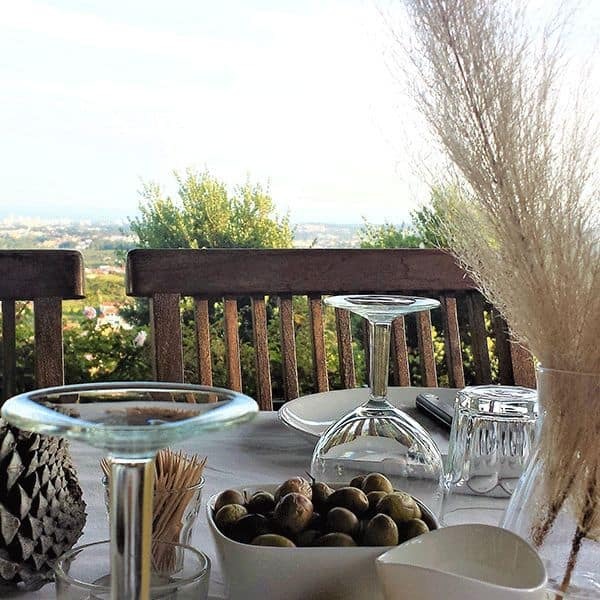 Sunday is time to chill out and/or discover Lisbon, Sintra, the beaches, the nature, the pool, read your favourite book or just enjoy the stunning view from our beautiful property. 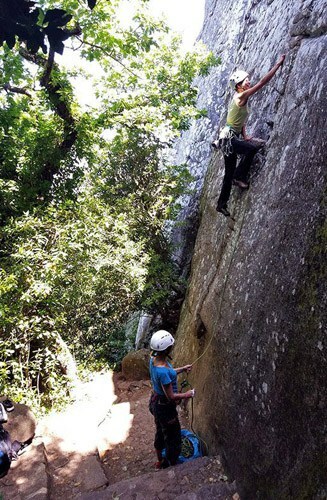 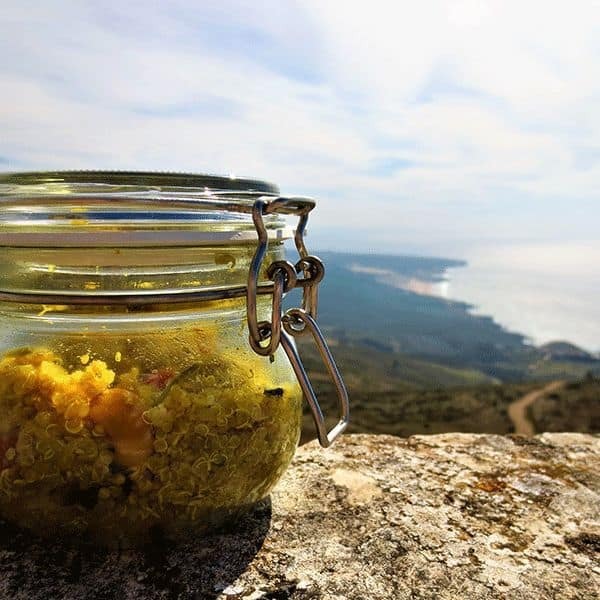 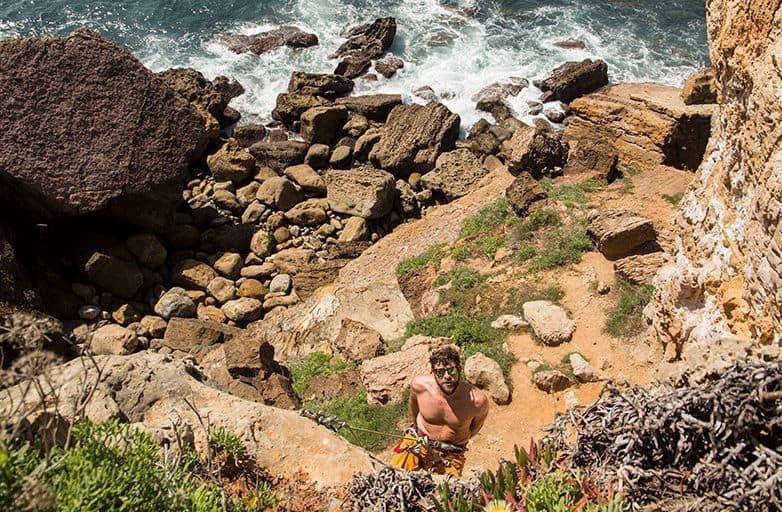 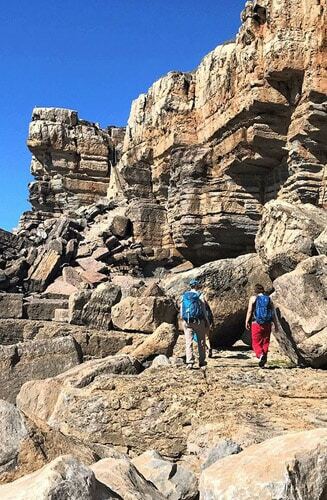 Monday to Friday you will climb in the natural reserve Serra de Sintra or at the Atlantic coastline in various climbing spots. 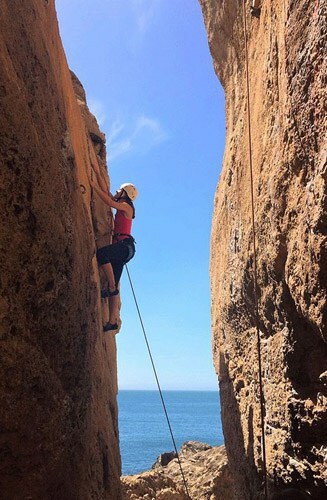 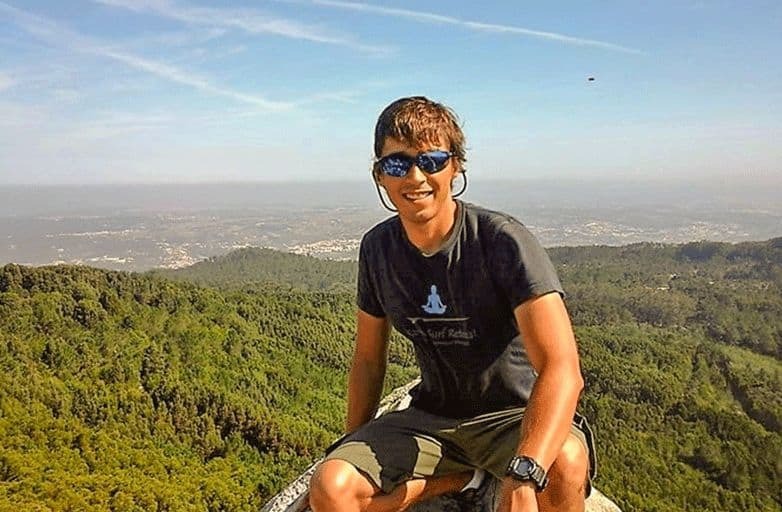 During this week we show you the most beautiful and breathtaking climbing rocks of Portugal and climb together routes from level 3 (easy) to 7 (dificult) according to your climbing skills. 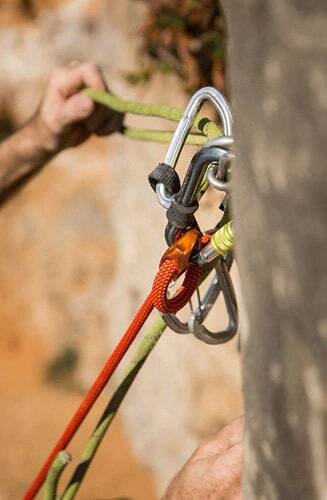 Moreover, you will get detailed introduction into back up and leading climbing at the rocks. 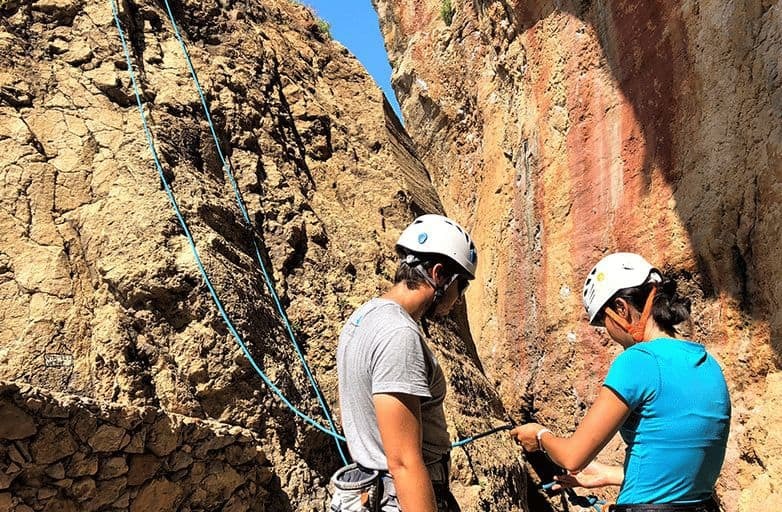 In order to start your climbing adventure relaxed and also to calm your muscles down there will be yoga classes in the morning and in the afternoon. 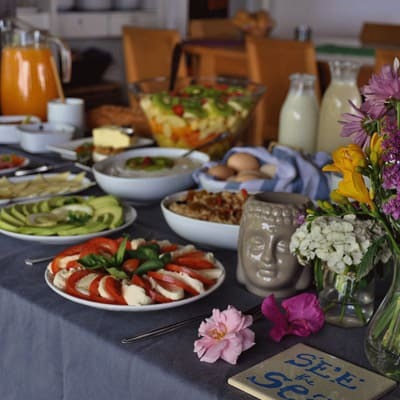 The different yoga styles (Hatha/Power/Iyengar Yoga) will ensure a memorable yoga experience and give inspiration for your daily yoga exercise at home. 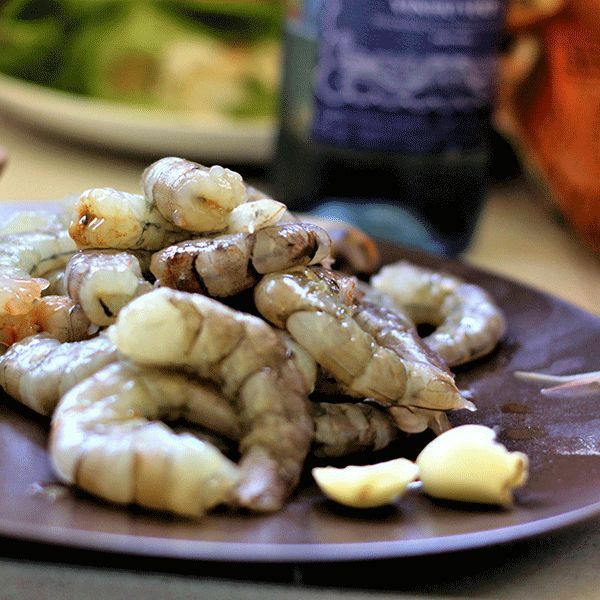 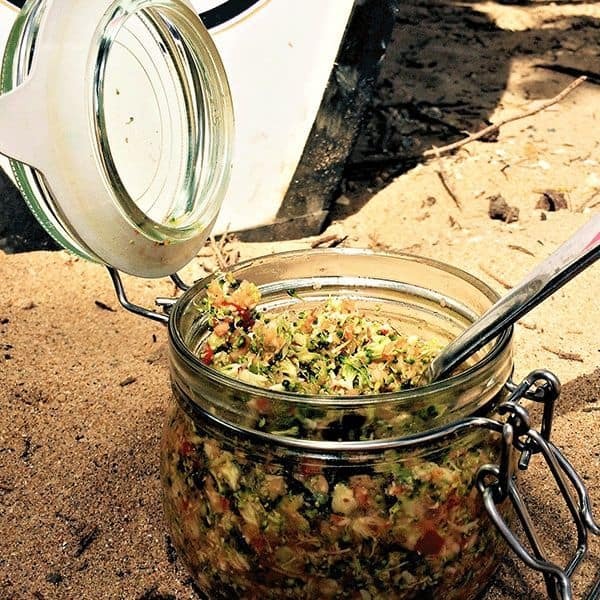 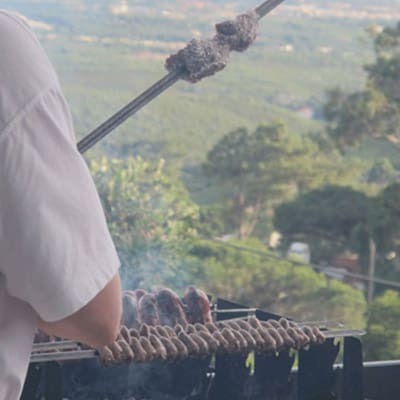 On Wednesday we will have a delicious typical portuguese seafood lunch together. 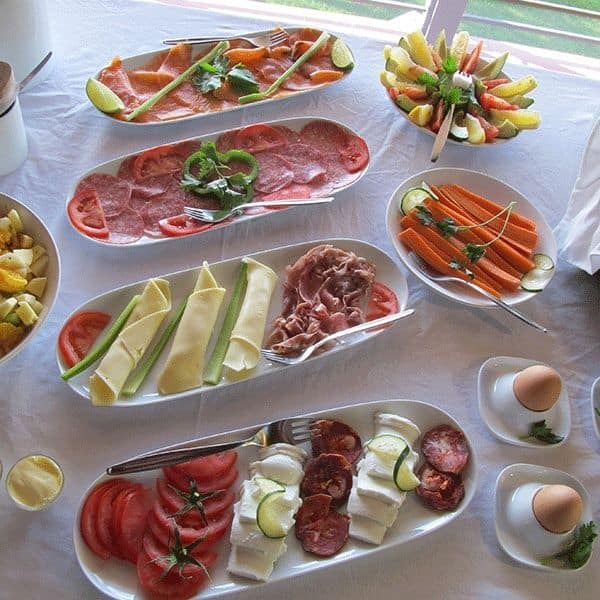 Also, we will skip the afternoon yoga session and you will have the possibility to get a relaxing massage.